Someone cut you off in traffic, it’s cold outside, and it’s getting dark way too early. You need an escape. But you don’t just need a getaway, you need to stretch out the muscles in your face and remember that your mouth can turn up into a smile. You need comedy. Stat. And if you’re going to go to a comedy show, you should probably go all out and do it in Vegas, where you have limitless options for fun both before and after the show. That’s why we’ve paired the belly laughs of the Aces of Comedy tour with the perfect Mirage activities and meals based on the comic of your choice. Ray Romano drew huge audiences on Everybody Loves Raymond with the relatable premise that you can adore your family from the bottom of your heart yet still be driven nuts by them. 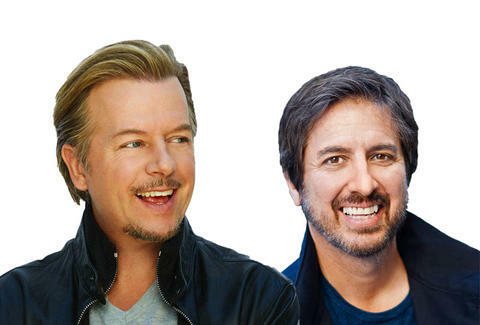 Across decades of standup and performances on Saturday Night Live, movies, and sitcoms, David Spade built his career out of sardonic replies to stupid questions -- something you’ve surely had to hold your tongue from doing at Thanksgiving, where you’re being henpecked by your own family. Together, they’re the perfect pressure release for all your pent-up emotions in the mid-holiday season. They’re also devastatingly funny (and meaner) in their frustrations with other people, so you don’t have to be. Mirage pairing: Get that peace of mind and solitude from the fam with a day at The Spa; it’s a lot easier to relax with your phone (and family texts) out of reach. You’ll be famished after all that detox, and ‘tis the season to sample a little bit of everything from a massive spread, so head to Cravings, the buffet meal to match tonight’s comedy buffet. 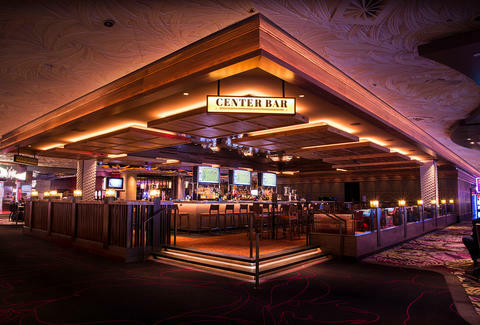 After the show, unwind even more with a drink at Center Bar since -- like the comedy show-- it’s a good cross-section of what the Mirage has to offer. 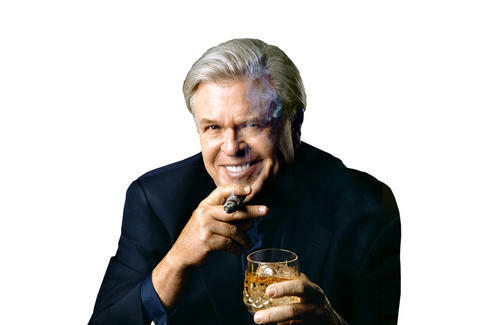 Ron White’s relentless grin and unabashed love of vices make everybody at his shows feel like they’re on an adventure with their rakish uncle. The Blue Collar Comedy Show’s megastar will leave you with the glow found at the best backyard barbecue in the world: relaxed, happy, and definitely craving a whiskey. Mirage pairing: Watching White smoke his signature cigar and sip his scotch on stage, you’ll be hankering for some smoky pleasures of your own. Preface the show with a visit to The Volcano to light up your night; then sip a scotch in the iconic atrium beneath the night’s sky at the Tom Colicchio Heritage Steakhouse lounge. Islay or West Highland scotches are great for those who want a resoundingly peaty note, but White reputedly favors Johnnie Walker or Macallan. (If you want to fully emulate your comic hero these days, you’ll have to order his new drink of choice -- Number Juan tequila, from the distillery he co-founded.) Whatever you sip, you’ll be salivating the entire time at the aroma of the exposed wood fire kitchen, but save that craving. After the show, head to all-night diner The Pantry, because nothing says Texas more than Ron White’s colorful comedy... unless it’s chicken-fried steak and eggs. 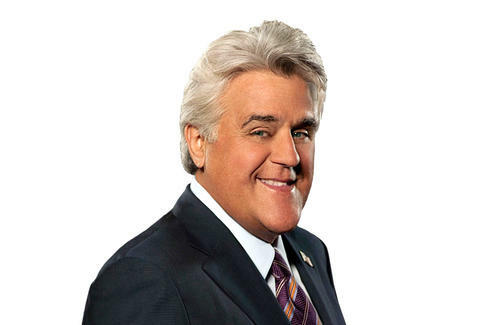 Jay Leno hosted The Tonight Show for decades, making us laugh night after night, introducing us to new celebrities and comedians and generally acting as our nation’s gentle, hilarious uncle. While we certainly love his successors, there will always be a soft spot for that familiar voice, standing on stage, telling us jokes, and reminding us of the good old days of show biz. Mirage pairing: The Tonight Show is a timeless institution of American entertainment that favors a classic joke telling style like Leno’s, and you’ll want to eat along those same lines. 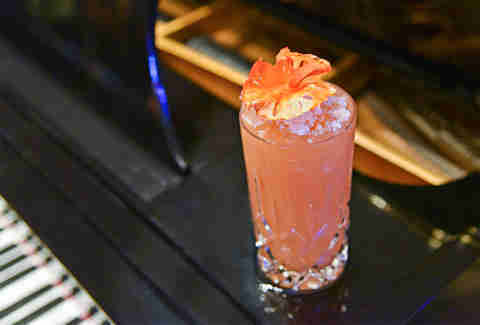 Indulge in the convivial entertainment of a piano bar with Americana drinks at the Parlor Cocktail Lounge. Definitely try the Typhoon to get a sense of when tiki drinks full of rum were all the rage. Follow that up with a perennial favorite of shrimp cocktail and a wedge salad at Stack. Then stack your evening’s entertainment with the early performance of Cirque du Soleil -- like Leno’s hosting stint, The Beatles LOVE is another contemporary form of an entertainment icon. By 10pm, you’re ready to cap the night with the comedian as the crown jewel. It’s time we all acknowledge that out of the whole year, January’s the toughest to grit through. The holidays are over and your resolutions are always lurking. 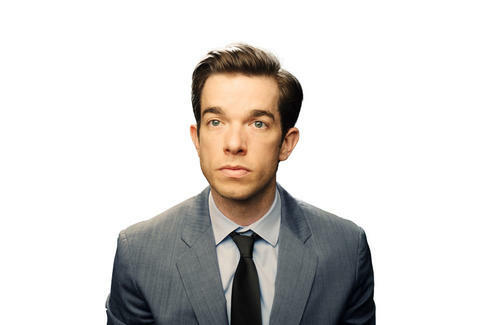 Don’t fall into a slump, give yourself something to look forward to by locking in your tickets now to John Mulaney’s silly, joyful stand-up. His hilarious stories are like getting to visit a better version of your funny best friend from college. Plus, Mulaney built his act on tales of NYC outlandishness, and if there’s one thing New Yorkers know, it’s how to find fun on the town even if it means a slog through some seasonal weather. Mirage pairing: Get into that Big Apple feeling by starting at NY icon The Carnegie Deli for lunch, where of course you’re going to order a pastrami sandwich and a cup of matzoh ball soup. With the original Carnegie closed for a year at that point, you’ve found a New York experience even NYC can no longer boast. (Whatever you do, don’t play “What’s New, Pussycat?” on repeat, though.) Mulaney’s a snappily groomed performer, so fit in with a trip to The Salon to get yourself snazzy for the big night. Women can find the full suite of hair, skin, makeup, and nail care, while men should treat themselves to a shape-up combined with a hot towel lather shave in the private Barber Shop, which comes with a complimentary whiskey or beer. You won’t end up as babyfaced as your headlining act, but you’ll flash enough style to ensure you don’t look like a tourist. Before the show, stop in for a quick sushi dinner at Otoro -- but be sure to kick off your night with the spicy roulette appetizer of shishito peppers to get yourself in a gambling mood. Keep dinner light; you’ll still be full from lunch, and a heavy meal might make you tired when you’ll want to stay on your toes to keep up with Mulaney’s quick and subtle punchlines. 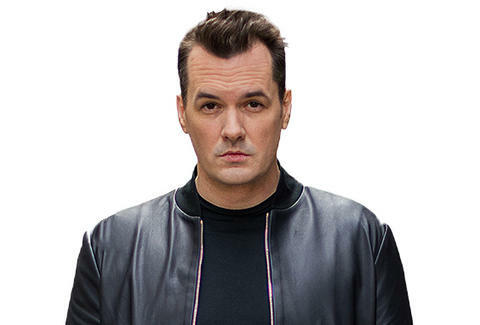 In Australia, the snakes are deadlier, the knives are bigger, and the comedy -- or at least Australian comedian Jim Jefferies’ comedy -- is a bit more dangerous. Jefferies’ stand-up is not for the easily offended, but it definitely is for people who want to laugh hard enough to pull a muscle. If you’re new to this comedian, the titles of some of his specials: Hellbound, Contraband, and Alcoholocaust might give you a sense of what you’re in for. This probably isn’t a show you want to take your grandmother to, but if you find yourself with a group of guys, living it up in Vegas for a weekend, guffawing at his down-under, acerbic opinions is a must-do. Mirage pairing: Much like Ron White, there’s an unrepentant pursuit of the seamy in these joes, though Jefferies is a little more expressive of a bachelor party or boys’ weekend. Remember how fiercely you were savoring the smells at Tom Colicchio’s Heritage Steak before Ron White? Its time has arrived. Go back for dinner, rather than drinks (but those too), and order a medium-rare mix of Australian flat iron steak in tribute to tonight’s entertainer. 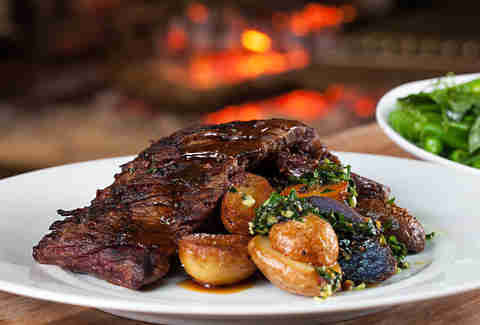 Rack of lamb is another good choice, given that Jefferies’ home country exports over 1 million tons of the stuff a year. Now that you’re raring to go, hit the show, laugh your Aussies off, then enjoy a night out with the guys at 1 OAK till you shut the place down at 4am. 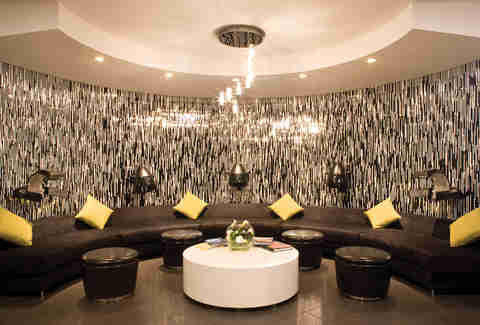 Sleep it off till noon, then jump into your bachelor party package the next day at The Still, which includes a private man cave with F&B packages surrounded by guest-controlled viewing screens. Nice work, brah.